Mount Rainier, or simply "the mountain" as locals call it, is the most topographically prominent mountain in the contiguous United States with a summit elevation of 14,411 ft (4,392 m). Rainier has a topographic prominence of 13,211 ft (4,027 m), which is even greater than that of K2, the world's second-tallest mountain! 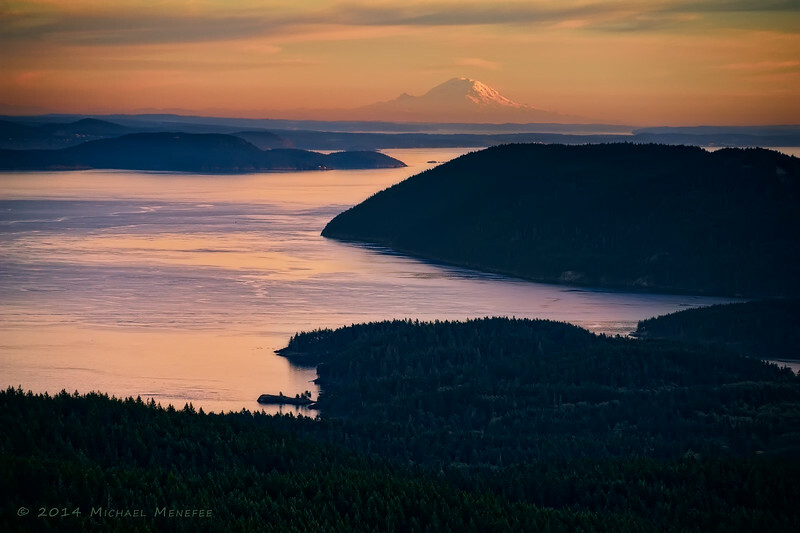 It's shown here rising from the Puget Sound as seen from near the summit of Mount Constitution at Moran State Park located on Orcas Island, Washington. On a really clear day you can even see the mountain from Victoria, Canada, it's truly massive! For those curious about topographic prominence, it basically refers to the height of a summit's peak relative to its surroundings rather than a fixed point. Prominence measures a summit’s vertical distance from the lowest contour line that encircles it and no higher peak.